Orders will be filled within 24 hours, packaged with care and prepared for shipping within 24 hours of order placement. In the case of backorders, we immediately contact the relevant manufacturer and notify our customers of the backorder status and anticipated ship date. Telluride Angler covers all additional shipping charges resulting from partial shipments. Telluride Angler is happy to ship on expedited terms at customer’s request. A shipping surcharge reflecting estimated shipping costs will be applied for 3-Day, 2-Day or Next Day service. Telluride Angler also ships internationally, with flat rate shipping costs passed along to the customer. International customers are also responsible for duties and taxes associated with such shipments. Domestic Shipping methods: Telluride Angler ships via UPS Ground or USPS Priority to all locations within the United States. Packages are always shipped fully insured. Upon shipping, we e-mail your tracking number so you know when to anticipate delivery. FREE SHIPPING is offered on orders of at least $100. Shipping costs on all packages are based on average parcel freight. In many cases, the shipping charge to our customer is actually less than we incur to ship the package. FREE INTERNATIONAL SHIPPING 6-10 day delivery for orders over $500 or just $30 for 3-5 day international delivery! Currency converter shopping cart. Prices may be viewed in your local currency or U.S. dollars for your convenience. In-stock orders are processed within 24 hours. Backorders are notified immediately and Telluride Anglers covers all additional shipping costs incurred by split shipments. Tracking numbers are e-mailed for your confidence. 7-days-a-week customer service for your inquiries. Customers are responsible for paying any duties applied by their country’s customs office. Join the hundreds of international anglers who enjoy Telluride Angler’s premium customer service! 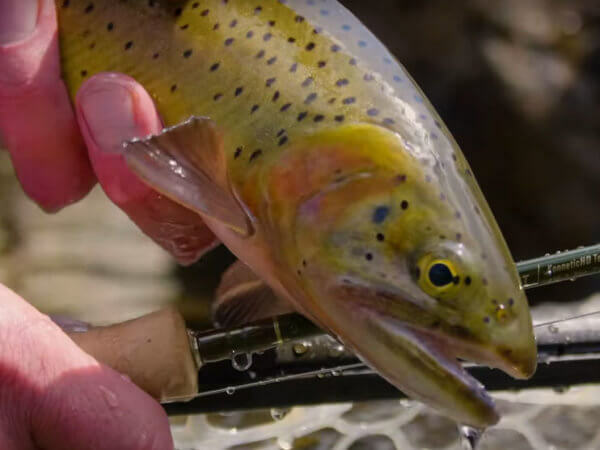 Telluride Angler guarantees satisfaction on all purchases. Regularly priced products are returnable within 30 days of purchase for full refund. Also, unshipped orders may be cancelled prior to shipment with no penalty. Unless otherwise stated, on-sale products are not returnable (except in the case of defect). To receive a refund, please contact Telluride Angler by telephone or e-mail to receive return shipping instructions and verify the refund method.